With this integration, Hostfully will automatically synchronize your property data, photos, rates (even dynamic rates if you have them enabled) and availability to HomeAway. 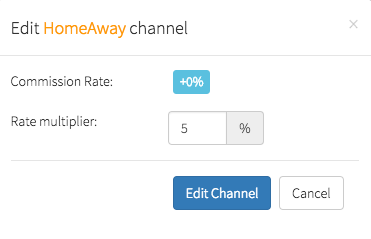 The HomeAway API integration is available only for Hostfully users who have 5 or more listings. If you do not meet this qualification and would like to speak with a member of our team or to see a demo, please contact us at support@hostfully.com. The HomeAway API does not provide a way to import historical bookings (bookings created in the past, for past or future stays), so you will have to use our booking import system to start in order to get your calendar up to date when starting the integration). At this point, HomeAway does not allow the on-boarding of businesses managing less than 5 listings. The Integration is not immediate. After turning the channel ON you'll be contacted by a HomeAway representative before the connection is established. Inquiries send through HomeAway and affiliated sites (Vrbo, Abritel etc) will have to be processed via the HomeAway Inbox. For direct reservations, the bookings will show directly on the Hostfully dashboard. Once bookings are made on HomeAway, they will automatically appear on booking dashboard and on your multi-property calendar. They will be automatically synchronized to all the other calendars you connected to Hostfully. If you have any question, please contact support@hostfully.com.